What millennials love and how they get it has redefined many of the ways companies serve their customers. There is no exception for the diamond industry. Glenn and Tim Lewis, of Lewis Jewelers, are two brother who have a natural instinct for knowing what millennials love. They found their passion for diamonds at a young age and started their jewelry business over 40 years ago, when they were 21 and 19 years old. Their young passion for beautiful “rocks” has turned into the most celebrated and premier fine jewelry “factory” in the southwest. Coast Diamond is happy to celebrate Lewis Jewelers of Moore, OK as our Retailer of the Week. Which Forevermark diamond will you choose to complete your Coast Diamond engagement ring setting at Lewis Jewelers? With a new generation of engagement ring buyers, Lewis Jewelers is ahead of the rest when it comes to knowing what millennials love. Lewis Jewelers is the number one partner in the country of the Forevermark diamond, which is a diamond center stone brand that only 1% of the world’s diamonds are eligible to become. Millennials love rare finds. Lewis Jewelers calls themselves a diamond “factory” because they provide the very best value in diamonds with first class service. Millennials love service and value. Coast Diamond Charisma Collection halo engagement ring and wedding band (LC5451_WC5451) with twisting diamonds down the sides of the finger. Click image for details. Coast Diamond Romance Collection polished band halo engagement ring (LC5205) perfect for a 1CT center stone of your choosing. Click image for details. Millennials’ favorite piece of jewelry today is the stackable diamond band. Coast Diamond stackable bands are exquisitely designed and are the perfect gift for every woman. This Coast Diamond band (WC10183) combines marquise and round shapes finished with a diamond in the center of each shape. Not sure what to give her for that special occasion? She wants this! Congratulations Lewis Jewelers… Your love for providing your customer the very best in diamonds in the Moore, OK community earns you our Coast Diamond Retailer of the Week for the third time! Choosing the perfect engagement ring setting can be daunting. Choosing the perfect diamond center stone can be downright scary. What are the three C’s? GIA… What does that even stand for? She wants an Asscher shape… where do I find it? Our Coast Diamond Featured Retailers are always the best place to start and finish your search for an engagement ring and a diamond center stone to complete it. We believe our featured retailers offer our couples the most reliable services and products. 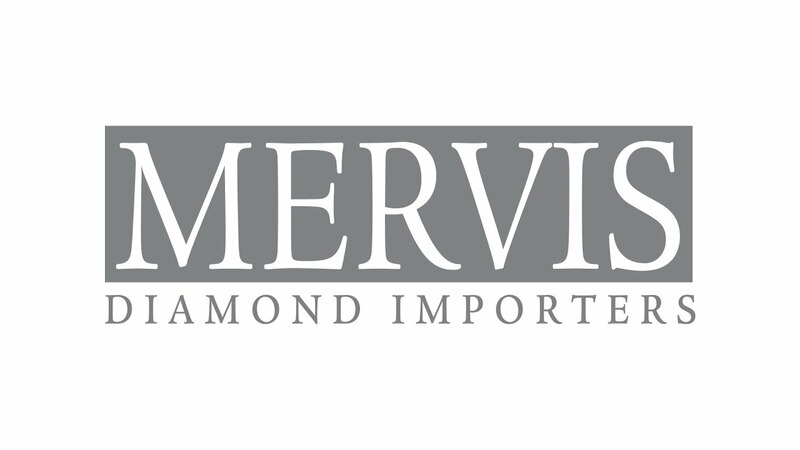 This week’s Coast Diamond Featured Retailer, Mervis Diamond Importers of Washington DC is that kind of retailer. The Mervis family began their work in the diamond industry with a store in Johannesburg, South Africa almost 100 years ago. Today, they have stores in South Africa, Israel and three in the Washington DC area. They have been voted “Best place to buy a diamond” and “Best wedding rings” in the DC area. Not all diamonds are created equal and when you visit them, Mervis will show you why. Your diamond shopping experience with Mervis will leave you giddy with excitement after you have chosen a diamond center stone for your Coast Diamond engagement ring. This classic Coast Diamond cushion shaped halo engagement ring (LC5357) is adorned with fine pavé set diamonds (0.36TCW) on the band and around the center stone. Choose the gorgeous matching band (WC5357) to complete the set. Both rings are finished with milgrain edging. This setting is perfect for a round diamond center stone. The Coast Diamond petite cushion shaped halo engagement ring (LC5391) is a slightly more delicate ring than the previous halo engagement ring LC5357; however it also has fine pavé set diamonds (0.16TCW) on the band and milgrain edging. The Coast Diamond four prong diamond solitaire engagement ring (LJ6034) is tradition maximized. The fishtail set diamonds (0.58TCW) on the band give more sparkle with a vintage feel. This ring is beautiful with any shape diamond center stone. We are thrilled to be featured in this short video by BRIDES Influencer, Christiane Lehman, owner of Truly You Events! Fun & Adventure…Jason and Todd! You gotta love two people who enjoy their job. In the engagement ring business there are no two people who love their job more than Jason and Todd at the Diamond District in Estero, Florida. From the fun YouTube videos they put together to the surprise proposals they love to help a groom create, Jason and Todd just can’t get enough of diamonds. Their passion puts a smile on everyone’s face at Diamond District and we are excited to call them our Coast Diamond Retailer of the Week for a second time. Romance & Joy…Your love! Express your love with one of this Coast Diamond fashion ring (WC20055H). This unique band has a chevron pattern joined by pavé set diamonds and is finished with milgrain edging. Choose one in her favorite color gold… rose, yellow or white? Or gift her with one of each to create a beautiful stack. Breathtaking & Stands alone…Florida! This stunning Coast Diamond double halo engagement ring (LC10021), made for a 2CT diamond center stone, is perfect for maximum sparkle in the Sunshine State. Florida girls love a lot of sparkle and this ring is breathtaking. Inspired & Elegant…Her! She will love this feminine Coast Diamond floral engagement ring (LC6077) surrounded by milgrain edging and finished with a 1CT diamond center stone of your choosing (center stone sold separately). Congratulations Jason and Todd and everyone at Diamond District in Estero, Fl for being our Coast Diamond Retailer of the Week! We love the fun you bring to the world of diamonds.